Easily access XpertHR's unrivaled state and local resources using the listing below. 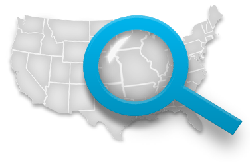 For local coverage, select your state of interest and then access “Local Coverage” on the top right of the state page or view our full listing of covered localities by state. This section addresses the factors used to define an employer under Georgia employment laws, including the state franchisor law. This section addresses the factors used to define an employer under Nebraska employment laws. This section addresses the factors used to define an employer under Montana employment laws. This section addresses the factors used to define an employer under Missouri employment laws. This section addresses the factors used to define an employer under Mississippi employment laws. This section addresses the factors used to define an employer under Minnesota employment laws. This section addresses the factors used to define an employer under Michigan employment laws, including the state franchisor law. This section addresses the factors used to define an employer under Massachusetts employment laws. This section addresses the factors used to define an employer under Maryland employment laws. A round-up of the comprehensive jurisdictional and local coverage XpertHR offers to help employers ensure they are compliant with US employment laws.